*The above fees cover up to 3 days’ supply of basic medication (fever, flu, pain relief, etc), doctor’s consultation, transportation charges, prescriptions, referral letters and medical certificate (where necessary). Diagnosis and treatment of infections, viruses and other illnesses. Prescriptions will be provided if necessary. Tests and treatment of sexually transmitted infections in the privacy of your own home. Immediate care for non-life-threatening injuries such as sprains, falls and wounds requiring suturing. Provision of basic medication on the spot and delivery of other prescribed medication through Lovy Pharmacy. Special care for the young and elderly. Avoid unpleasant trips to and long queues at the hospital or clinic. Get lab tests, ultra sound and x-ray done at your home. Supported by BP Lab. Treatment of a variety of skin conditions including rashes, minor burns and bug bites. 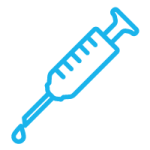 Administration of various types of vaccines and injections – including flu shots and travel vaccines. Get quick relief from dehydration, food poisoning and exhaustion. 1. Is medication included in the fees for the Doctor House Call? The fees cover up to 3 days’ supply of basic medication for symptomatic relief (such as for fever, pain, cough, runny nose, headache, diarrhoea, gastric pain and allergy). Any other special medications or antibiotic are not included and will be charged separately by the attending doctor. 2. What if a Blood or Dengue Test is required? There may be times where your condition will require further tests such as a blood test to be performed. The attending Doctor will explain why such tests are required and with your consent will take your blood sample(s) accordingly. These samples will then be deposited at the nearest BP Lab outlet for the testing. You can expect to receive your results via e-mail or through our Doctor2U app within 1 – 3 business days. 3. What are the health screening tests we cover? 4. Where is the Doctor House Call service available? Our Doctor House Call service is available throughout Malaysia. Residing outside the country? Don’t worry! We are working our socks off to make our services available all across South East Asia too! 5. How much does the Doctor House Call cost? Please refer to the top of this page for the Pricing Schedule. Rest assured, we will always display the applicable cost for your prior review before you submit a request for a doctor. 6. When is Doctor2U House Call available? Our Doctor House Call is a 24-hour service and we plan to keep it that way. Our operations and support teams are constantly working hard around the clock to give you (and your loved ones) access to quality care whenever and wherever you need it. 7. Who are the Doctors on the Doctor2U platform? We take our users’ experiences very seriously and hence we go to great lengths to ensure that all the Doctors on our platform are highly qualified to provide the required healthcare services.  We only accept Doctors who are FULLY registered with the Malaysian Medical Council (MMC) and who have at least 3 years of prior experience in practice. In addition, each candidate who wishes to be on the Doctor2U platform will first have to be approved by our internal BP Healthcare Group’s Medical Council. A standard due diligence check is performed on every Doctor before accepting them into our ecosystem, which includes a thorough background check and a review of their medical licences. 8. Who can use Doctor2U House Call? 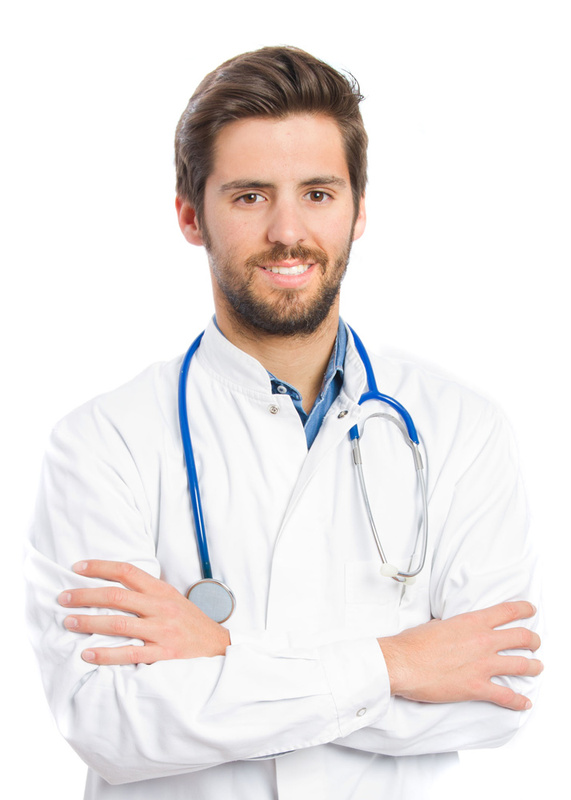 If you are over 18 years old, you can use Doctor2U to connect with our licensed Doctors. The Doctors can attend to anyone from newborn babies to adults of all ages. 9. What if I need emergency care? At Doctor2U, we take your problems and concerns very seriously. However, please note that our Doctor House Call service is NOT MEANT for medical emergencies. Unless you are in the Klang Valley where you may use our Ambulance Feature to call for an ambulance, DO NOT USE OUR SERVICES to seek medical services for someone who is unconscious, not breathing or gasping for air, experiencing an allergic reaction, having chest pain, bleeding uncontrollably or demonstrating any other symptoms that require immediate or urgent attention. You should in such circumstances dial 999. 10. Can I access my medical records from my Doctor2U House Call visits? After every visit, you will be sent an electronic summary of the visit through the app and e-mail account. In addition, where a blood test is performed, the attending Doctor will give you a call after the results are out to personally talk you through the same. 11. Are my medical records kept private and confidential? 12. How do I pay for my Doctor2U House Call visits? We operate a cashless system at Doctor2U and use the payment gateways, Braintree and Molpay to simplify the payment processes for you. 13. I am a female. Can I specifically request for a female doctor? As part of your selection, you will be able to enter your preferred Doctor’s gender (if any). If there is no available doctor of the selected gender, the system will notify you and you will then have the choice to continue without specifying your preference. 14. Can the attending Doctors issue medical prescriptions? Yes. They can arrange for the medication to be made available at your preferred pharmacy for pick up at your earliest convenience or alternatively you may arrange for it to be delivered to your doorstep via our Medication Delivery feature. Please note that the Doctors are unable to prescribe narcotics or other drugs under Schedule I of the Dangerous Drugs Act 1952. 15. Can I cancel my doctor's visit? You are entitled to cancel the visit at any time. This is done within the Doctor2U app by pressing the CANCEL button. Please note there is a 5-minute window after requesting a doctor during which you may cancel the visit for free. After the 5 minutes, you will be charged the full amount. 16. Where in my house does the visit take place? The attending Doctor will be happy to see you wherever you are most comfortable. 17. Will my healthcare insurance cover the costs of Doctor2U House Call? We are presently working closely with many major insurance providers to strike up collaborations. Currently, we provide discounted rates to all Zurich Active Living Policy Holders in Malaysia. You may contact your insurance provider to enquire further about their reimbursement arrangement in respect of our services. 18. How do we ensure good quality service to our users? In addition to our vigorous background checks on Doctors wishing to join us (as highlighted above), we also have a rating system in the app. This enables users to rate from 1 to 5 stars the service they receive. This system is important for us to control and make sure the doctor is giving the best service possible to users. If the Doctor’s rating,(between one and five stars) falls below expectations, after a certain limit; we have the right to delist the doctor. 19. What if I need a procedure radiology services such as CT Scan or x-rays? The doctor will come to your home with everything you need for a thorough visit. If they feel that you require additional procedures such as x-rays or CT scan that can’t be done in the home, they’ll recommend and refer your case to the nearest BP Diagnostic Center, and make appointment on your behalf, so you may just go to the nearest BP outlet to redeem your service. 20. Can I request a doctor to a location other than my home? We recommend arranging a visit to your home as it is the most private and comfortable setting for you. If a visit to your office or hotel room is more convenient, our doctors are happy to visit you there as well. 21. Can I request the same doctor from a previous visit? We are working hard to make this possible in the near future. For now, your request will connect you to the nearest available doctor.